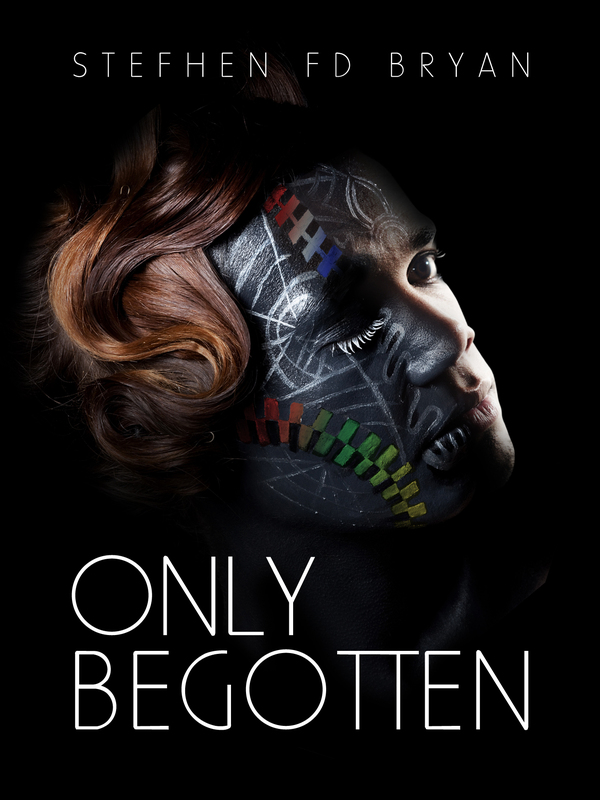 ‘Only Begotten’ is the story of a young, ambitious, successful, Jamaican architect in search of his father, who had been excommunicated by his father’s bible toting father. After immigrating with his grandfather to New York, womanizing Nigel Collins embarks on a journey to find his father whom he thought had abandoned him for the US when he was seven. At 27, upon finding his dad, Nigel discovers that not only is he now a woman, but a woman with whom he had had intimate relations some 3 years prior. This devastates him, bringing his successful architecture firm to near collapse and forces him to face his own prejudice and intolerance, the same characteristics he had found repulsive in others, especially his holier than thou, Pastoral grandfather. Throughout the story, Pastor Collins suffers kidney troubles, eventually leading to renal failure, prompting his son (now daughter) Barbara to donate her kidney, at her aunt Portia’s prodding. As a gesture of unconditional love for her father, she agrees to the donation. Post op, Portia, Pastor Collins’ sister, unbeknownst to him arranges a family gathering in his home, in appreciation for Barbara’s donation to her father. Portia opts to keep this gathering a secret from Alvin, as she knows he would object. Seeing his transsexual daughter in his house, Pastor Collins is livid and becomes even venomous after learning that the anonymous donor was his despised transsexual offspring. Pastor Collins is convinced that Nigel was instrumental in arranging the organ transplant from the ‘antichrist.’ Meanwhile Nigel and his mother (father), through therapy and other means, with great effort had been forging a healthy relationship as best they could. In attendance at the gathering is Nicole, Nigel’s fiancée, who is 3 months pregnant. Pastor Collins, still livid by the presence of “the devil” enters his room and slams the door. As Portia and the rest of the family try to console Barbara, Pastor Collins emerges from his room, with alcohol on his breath. Shots ring out in the room and Barbara is fatally hit. A struggle ensues between Nigel and his grandfather. Nicole, Nigel’s pregnant wife to be is hit but not fatally. Police and paramedics rush to the scene, removing Nicole and Pastor Collins – who is reciting the 99th psalm – respectively. The work opens with Nigel’s recurring nightmare of the brutal, barbaric and fatal burning of a gay man in Jamaica. Nigel then 7 years old, takes in this horrific scene with his grandfather. We later learn in the middle of the story that, given Jamaica’s immense homophobia and familial disapproval of Robert Collins’ ‘tendencies,’ he married heterosexually, a union which produced Nigel Collins. However, whilst being married he was engaging in an affair on the ‘down low’ with another man, whose fiery grave was orchestrated by Pastor Collins, after accidentally observing his son’s homosexual behavior with his partner. After the torching, Pastor Alvin Collins, a prominent figure in the community, arranges for his only begotten to be whisked off the island by ganja plane to Grand Cayman. Barbara, then Robert, gained political asylum after making her way to the United States. ‘Only Begotten’ is a painful illustrator of the tragedy which can result from all manner of fundamentalism. You can purchase the book online from Smashwords in multiple eBook formats at https://www.smashwords.com/books/view/308156.